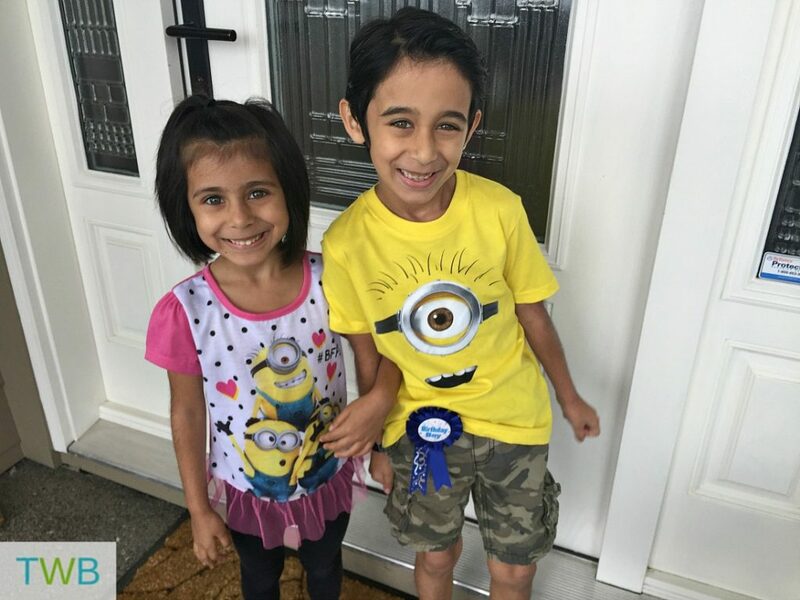 Keyan turned seven on May 7. It’s amazing how fast this kid is growing up! To celebrate, we had a small dinner at home with our immediate family. The following weekend, we decided to have a birthday celebration with his friends. We considered a few options for his party, but in the end, it was Skyzone Surrey Indoor Trampoline Park that won, hands down! When we first decided on the date for the party, we had nothing planned. Little did we know that we would end up moving to a new place on the Saturday before the party! I was a little stressed out about it. Moving all day on Saturday and then having a party for Keyan and 13 of his friends on Sunday, did not sound like an ideal situation. Two excited kids ready to get jumping! To my surprise, it turned out to be amazing! Other than getting the kids out the door on time with the loot bags in the morning, the hubby and I literally had to do nothing once we arrived at Skyzone Surrey. There was a dedicated host for our party. All the kids were coraled up and organized. 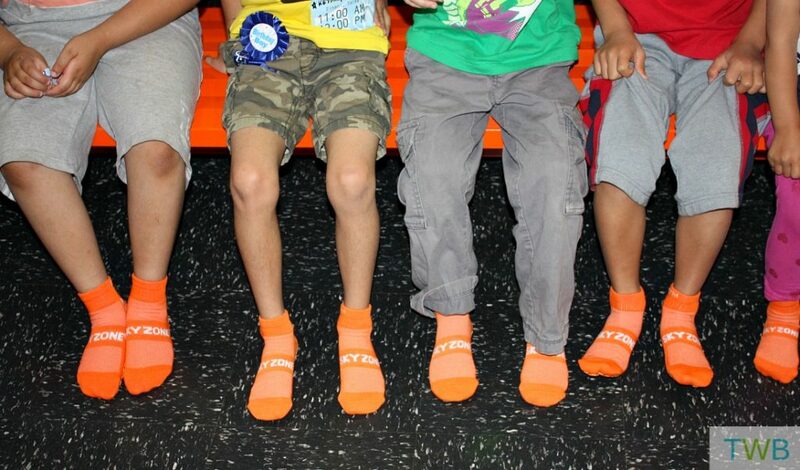 They were given special sky socks, talked to about safety and they played some fun games. Then it was off to the huge indoor trampoline park to play for an hour where staff was positioned everywhere to make sure that everyone was jumping safely and to be on hand if anyone needed help. 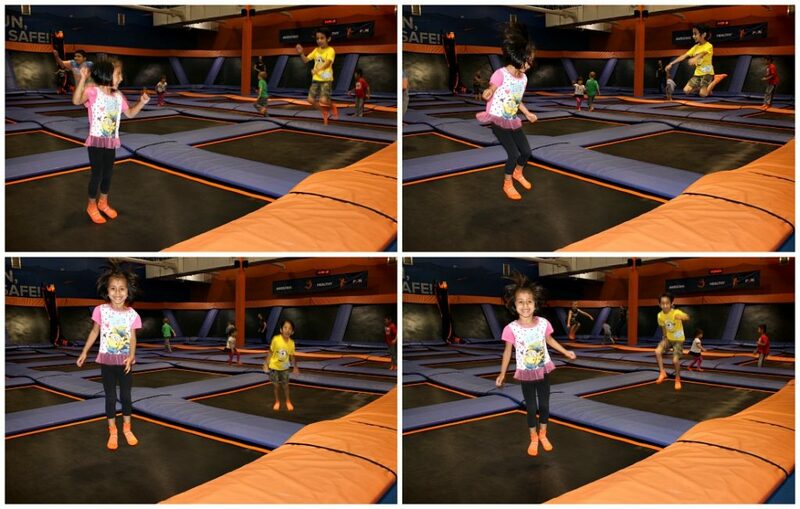 The kids started off playing in the trampoline zone for a while, jumping, bouncing and flipping around. After that the kids went to the basketball area that had three hoops with different heights so all kids to try their hand at jumping across the trampoline ramp and getting as high as they’ve ever been for a slam dunk. There was also a huge foam pit for the kids to play in, a dodgeball area and a dedicated toddler area for kids under 5 for the smaller attendees of Keyan’s party. Once the hour of jumping was up, the staff took us to the party room that they had already decorated and set up. 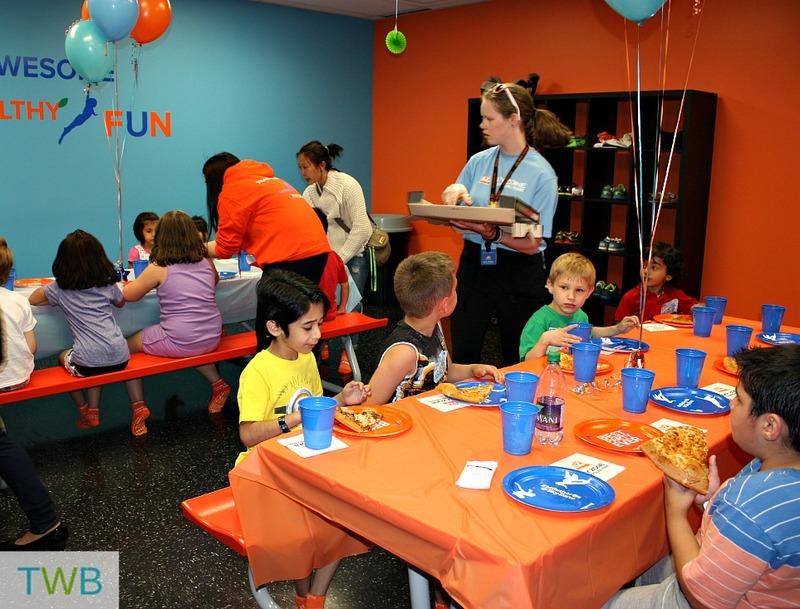 The pizza’s, vegetable trays, fruit trays and drinks that we had ordered through Skyzone ahead time were ready and waiting. We didn’t have to lift a finger! The food was served, the cupcakes was served and we didn’t have to do any clean up! They even gave the birthday boy a special gift. 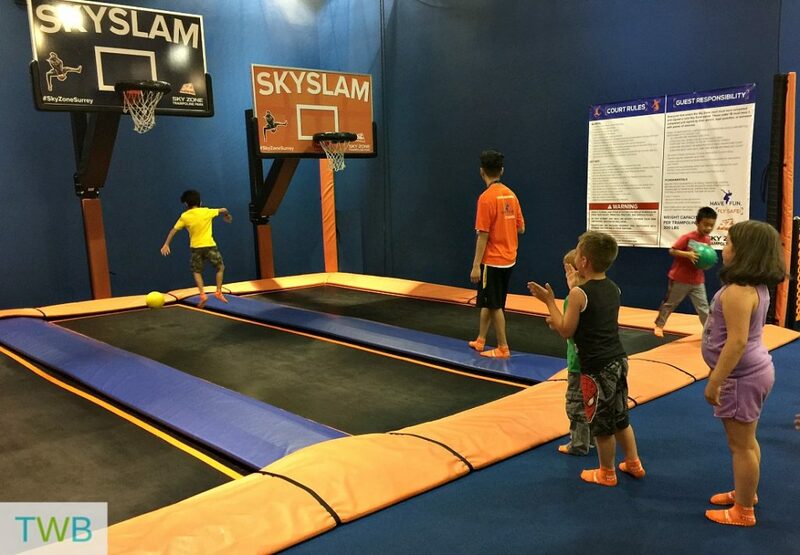 If you are thinking about a birthday party for your child, I definitely recommend Skyzone Surrey Trampoline Park. 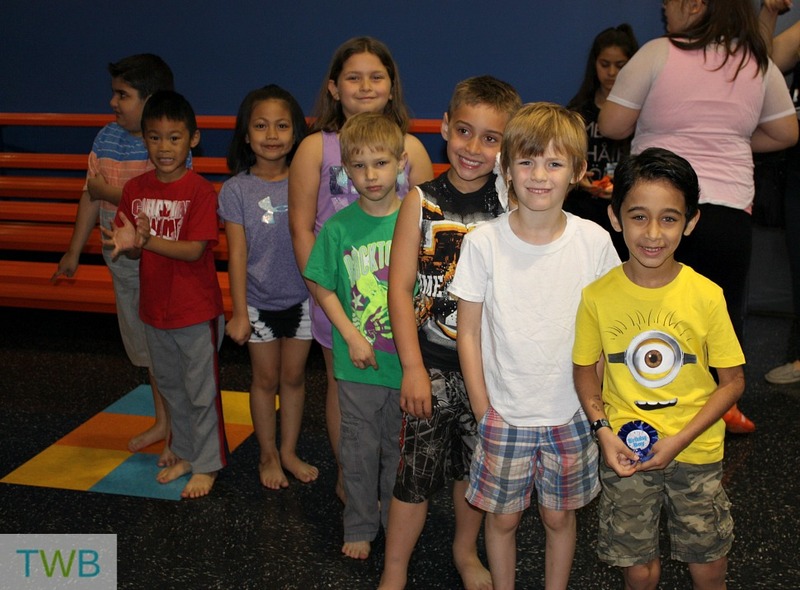 It’s not only fun, it’s safe, parent’s can sit back and enjoy while the staff takes care of everything and the kids get to be active while they enjoy. 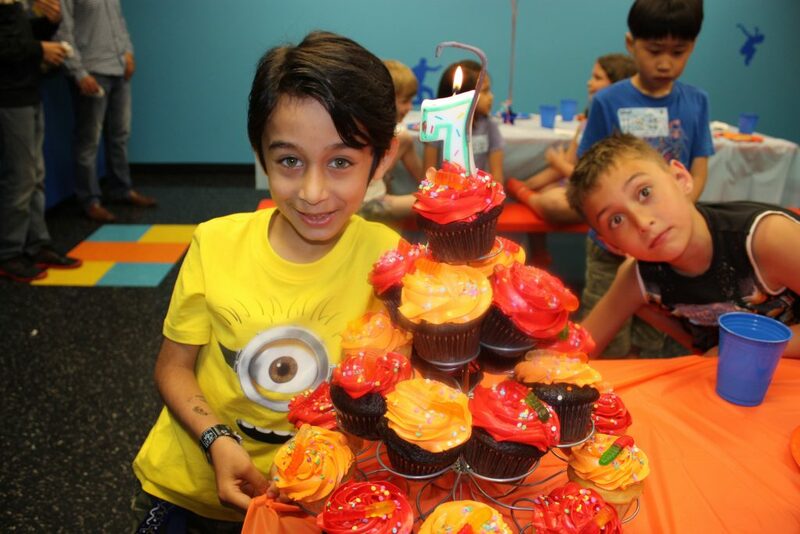 *A big thank you to Skyzone Surrey Trampoline park for hosting Keyan’s birthday party and giving him such a special day. I bet you had a bunch of tired kids when they got home. Perfect way to end the day-sleepy little eyes and a happy birthday. What fun! That place looks like so much fun! We have been to a similar one around us and the kids loved it. I think it is great for parities too as then the kids have fun, are fed and you don’t have to worry about having a million kids at your house! I love their shirts!!! Lol minions! And that place looks so fun I would want to go there just for myself haha! 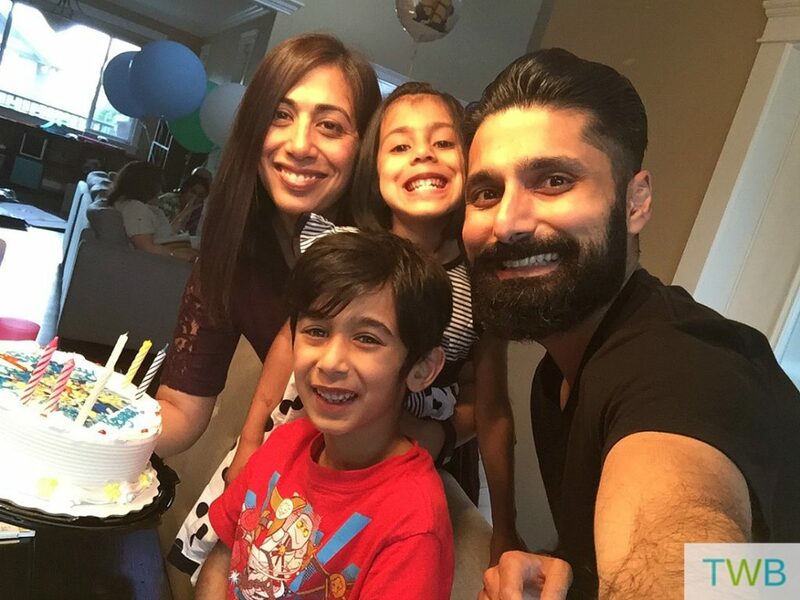 Looks like a fun party and happy birthday to your little one. It was fun Shumaila and thanks for the birthday wishes. Wow, what a FUN party! I bet the kids loved it! My daughter has a birthday coming up, and I hope to do something like this! trampoline parks are the best! hope you guys are settling in well into your new place! They totally are! And thanks Sarah! 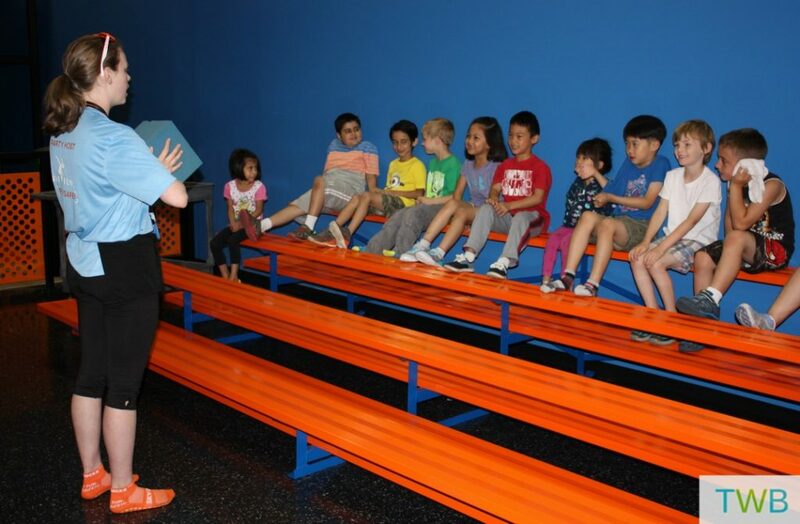 Ahh this information is great… I can’t wait to visit my plan at sky zone with my kids. I hope you enjoy it as much as we did Eva!